Laura Amiss is a purveyor of magic. In her shop, she stocks a world of whimsy and color, texture and fun. 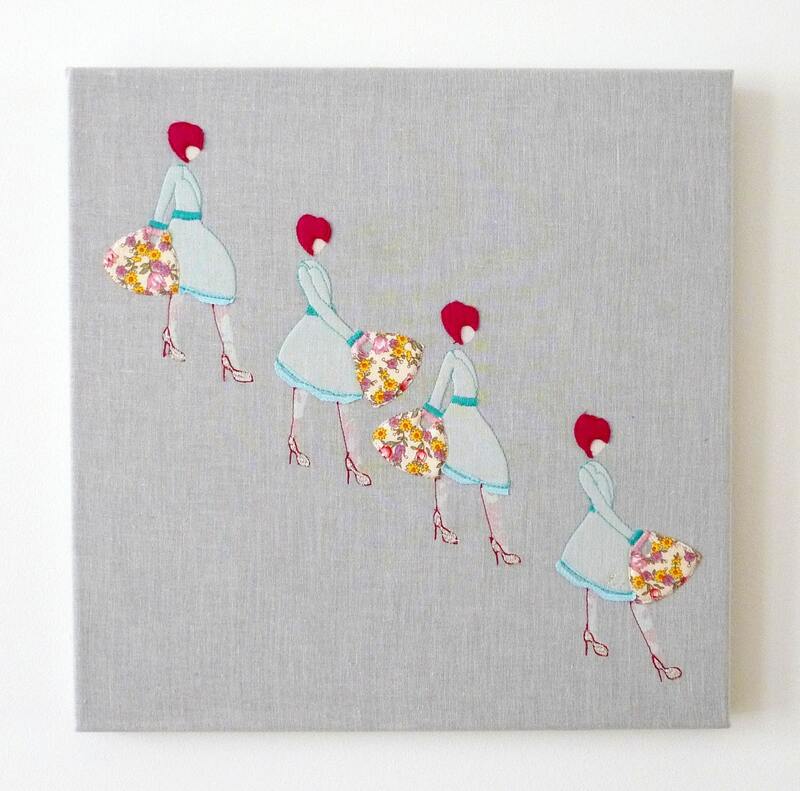 Her work ranges from large, stitched canvases to very affordable prints. 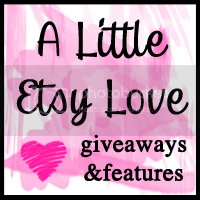 Laura has so graciously agreed to an interview and giveaway, so read on to enter! My name is Laura, I am English but I have called Amsterdam The Netherlands home for the last seven years, I live here with my husband and two children. 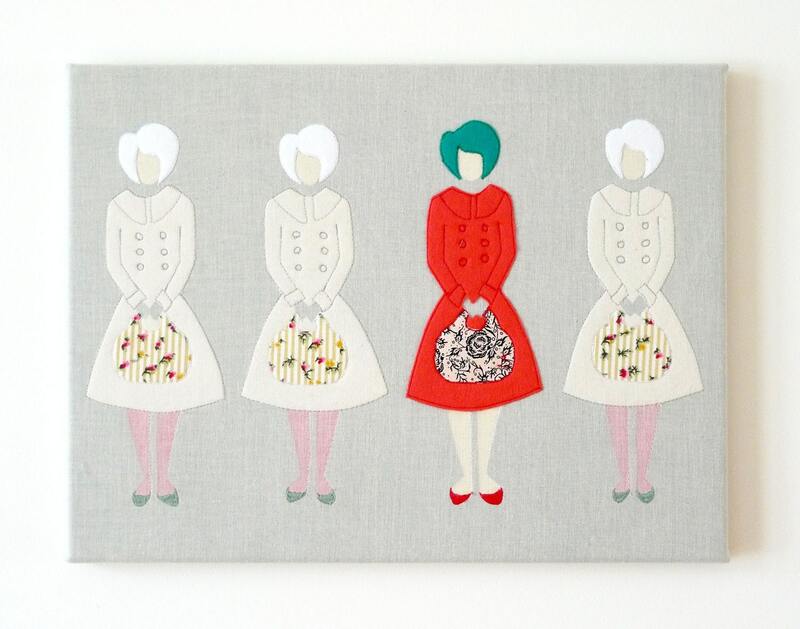 I studied Textiles in London and I now work as a freelance illustrator and maker. I mainly use textiles, producing appliqued illustrations and drawings. I suppose I draw with my sewing machine. I have always enjoyed mixed media art work. It was quite early on in my studies that I really became hooked on textiles. I love the physicality of working with textiles and have always been interested in it's language and history. A friend told me about Etsy two years ago. I was trying to find a way I could make and sell the work I wanted to make. I had children aged one and two and also wanted the flexibility of working from home and just being a little more available for them. I LOVE Etsy, the past year has been amazing, it was a bit of a step in to the dark and I still work very hard at it, but I found it very rewarding. I really enjoy putting colors together, often a piece can begin with color rather than an image. I love 1950s fashion illustrations and have recently been interested in exploring old proverbs and poetry and seeing how I can translate them visually. The titles of my pieces are important, I sometimes think I should stitch them on to the canvas. Drawing forms a crucial part of my work and inspiration, I have been trying to dedicate half an hour to sketching before I go to bed. Above all, for my most recent set of work I wanted to make people smile and be able to relate to the image easily. I like a hot cup of tea. a little closer to my Mum who lives in England. 'When I was young', childrens poetry by A.A Milne. 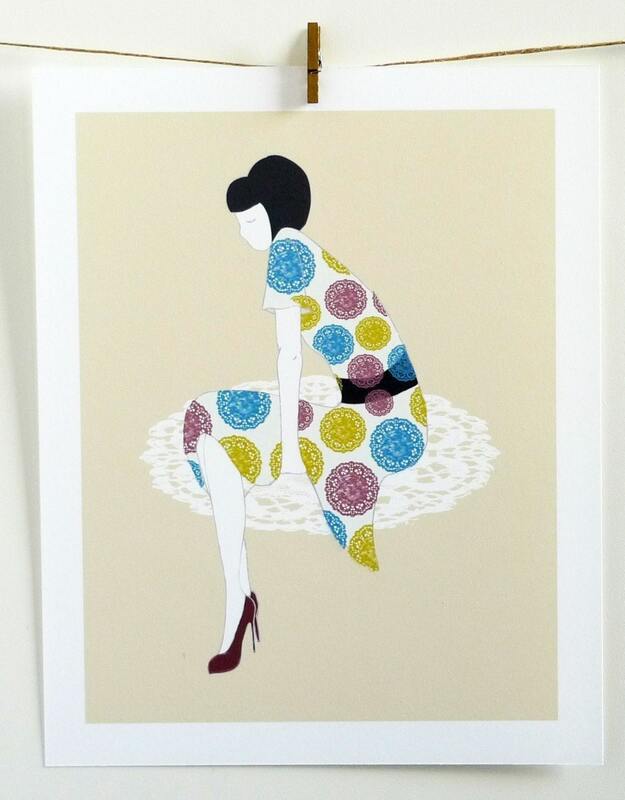 Laura has graciously offered up any print in an A2 or A3 size for one lucky winner! - Visit Laura Amiss, select your favorite item and tell me about it. - Like Laura Amiss on Facebook. Fine print: Giveaway begins when it is posted and ends at 11:59pm pacific standard time February 9, 2010. A winner will be selected by a random number generator on February 10, 2010 and will be emailed promptly. ooh I love her work! It's so stylish! Living in Seattle, I feel like I say that a LOT! I have your blog button on my favorite's page! Scattered showers: beautiful and a lil scary. It's so hard to choose. Laura's paintings are so full of whimsy and color. 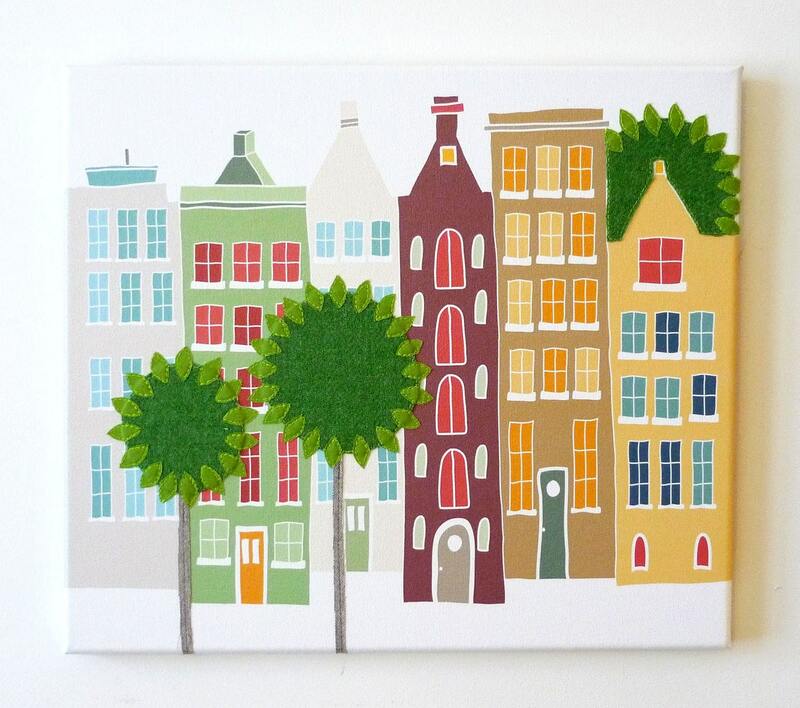 I can't decide between Bloemgracht, Little house on the hill, and Scattered Showers! I like Laura Amiss on Facebook as Window Fog! I LOVE all of the houses!!! Adorable! City Living is so cute! I like Kate and Oli on Fb as Window Fog! Oh my favourite is definitely the "never enough" canvas - LOL! I like Laura on Facebook as Deborah Davey. I like kate and oli on Facebook as Deborah Davey. I like kate and oli on Twitter as dspdavey. What a lovely giveaway! I just love the "never enough" shoe print! So adorable. Also, I am following you and I liked her on facebook. I absolutely love the "Never Enough" print. Oh man- it is so hard to choose! I do love 'This way and that' (great sense of movement!) but I think 'Across the canal- stitched canvas' really caught my eye! I love the colours and the stitching really adds another element. I love the Canal houses! beautiful! thanks for sharing! i love the i was different print! Following your blog and I adore Paris, Latin Quarter - A3 large cityscape print!!! I Like Laura Amiss on Facebook! Wow. 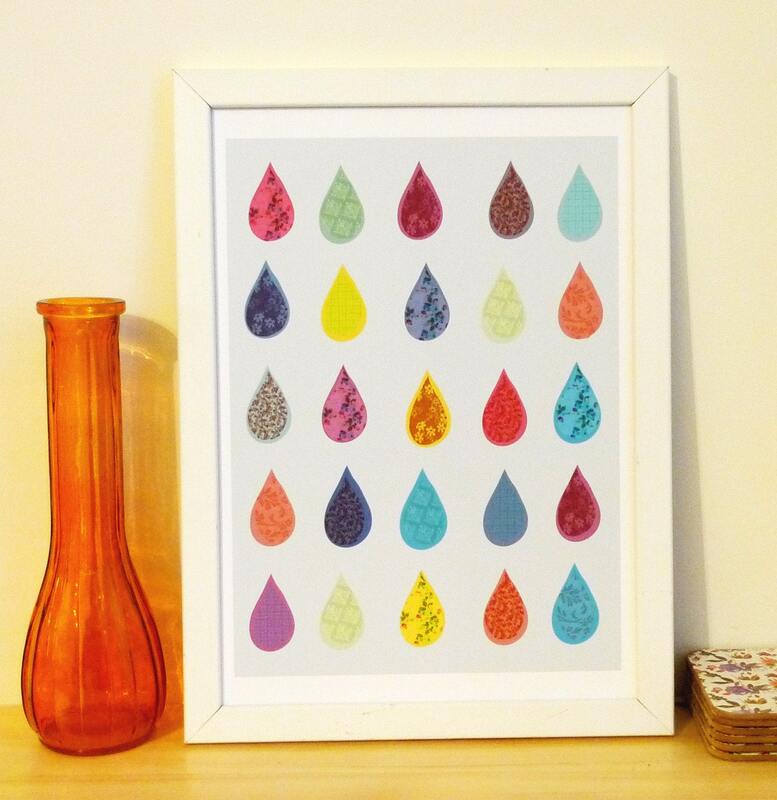 I adore the Happy Tears print! I'm all about color, patterns, and repitiion, and this one does all three beautifully. i love *when will it stop*. love love love the doily clouds. sweet! 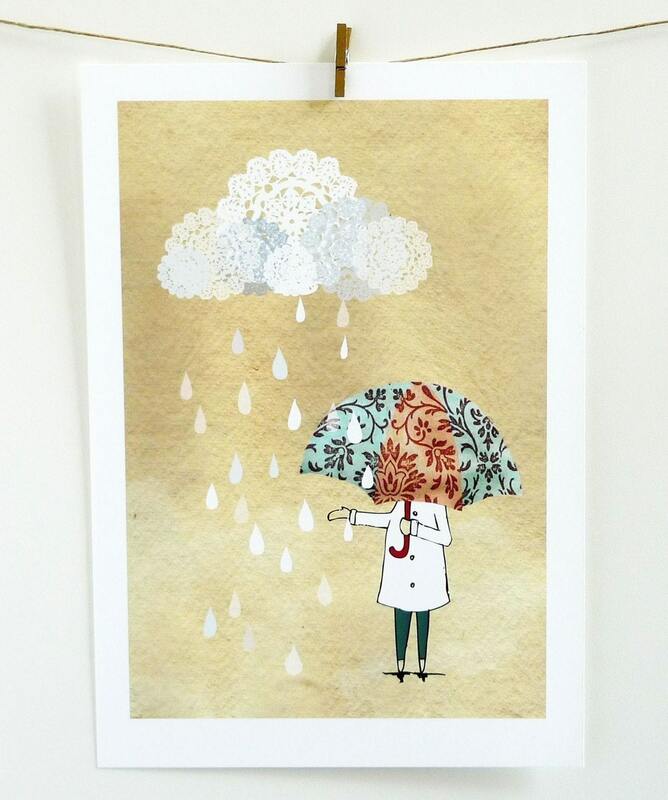 I adore this one http://www.etsy.com/listing/60967136/scattered-showers-a3-large-print ! Enter me please! 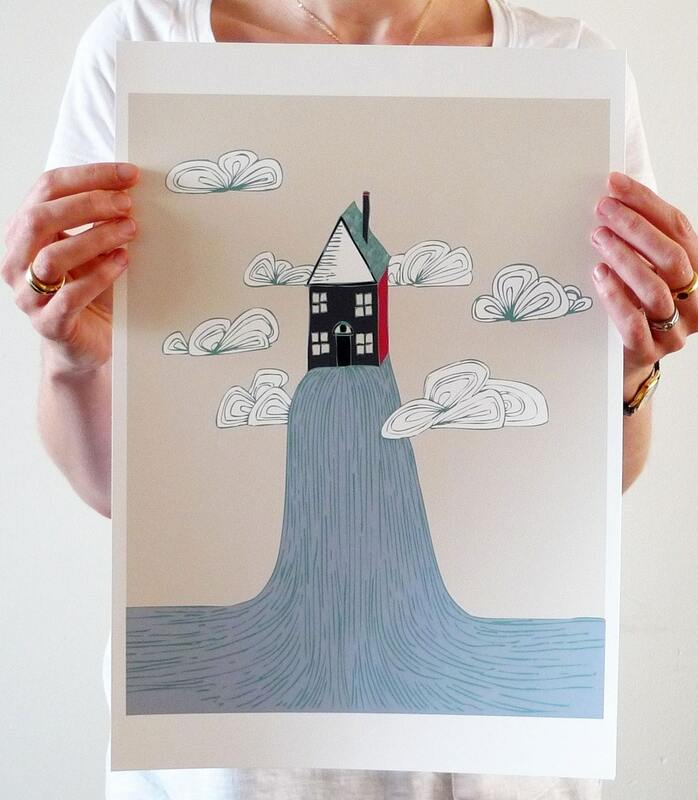 My fav print is Never Enough - Extra large A2 Print. 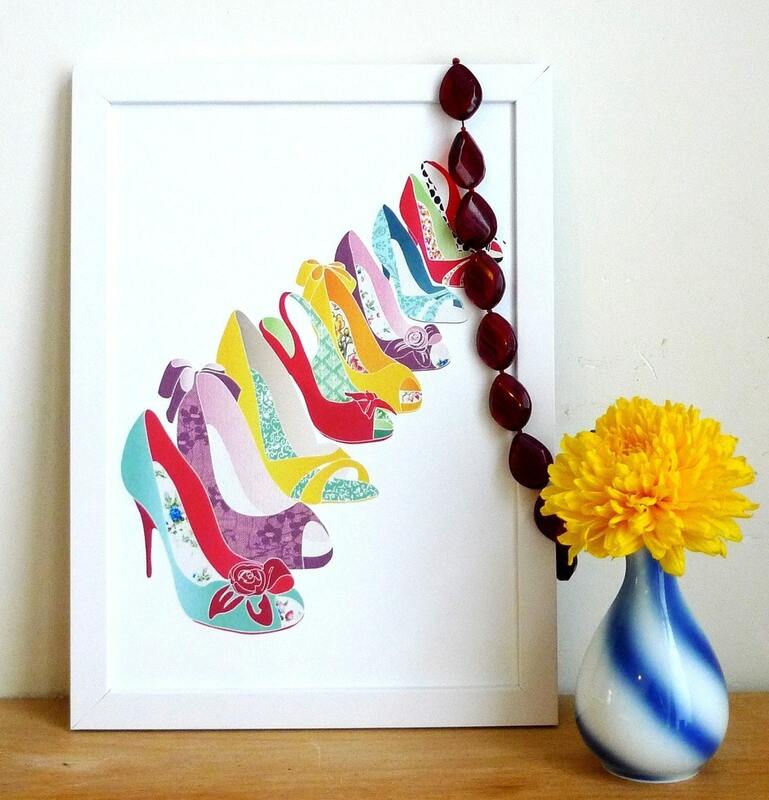 I love the Never Enough print - it'd be perfect to hang on my side of the bedroom (where my shoe organizer is, haha)! 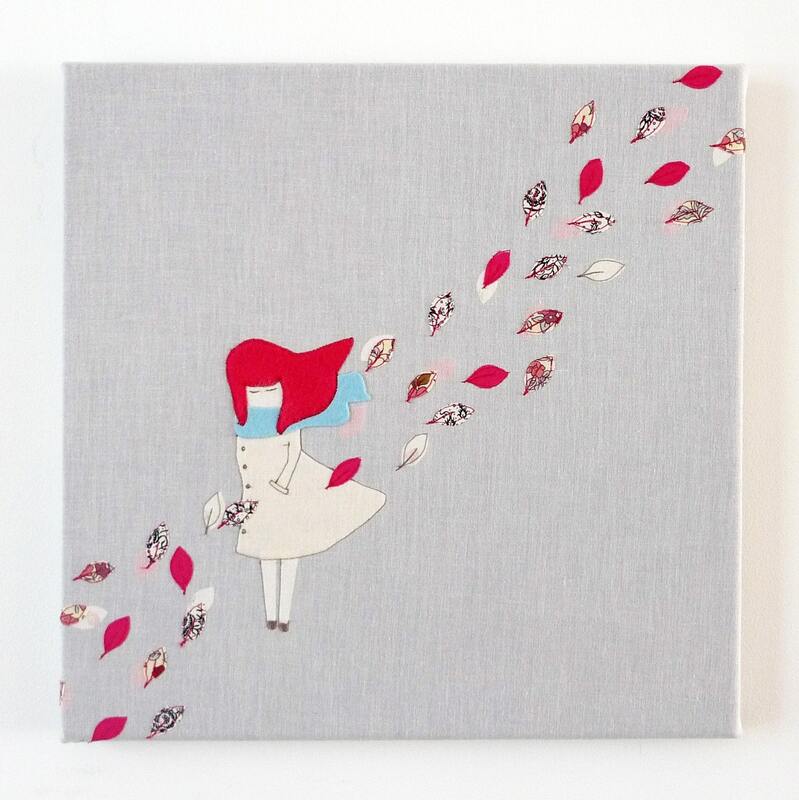 I follow via GFC as Ruri and I love the Never enough... Mixed media, stitched canvas print! My favorite is the Never Enough A3 shoes print because I absolutely adore shoes but don't have the budget for a designer collection so this would suffice! I am SUCH a big fan of her work. My fave is the never enough shoe print. It just screams my name! I like Laura Amiss on Facebook. also liked Kate and Oli on Facebook! City Living is one of my favorite prints! Amazing, and I love the colorful style! My favorite piece is Home is where you take it. I love the simplicity and the color of it. It also rings true to me. I also liked Laura Amiss on Facebook. I signed up to your mailing list. I have been following you on Twitter. I also liked Kate and Oli on Facebook! 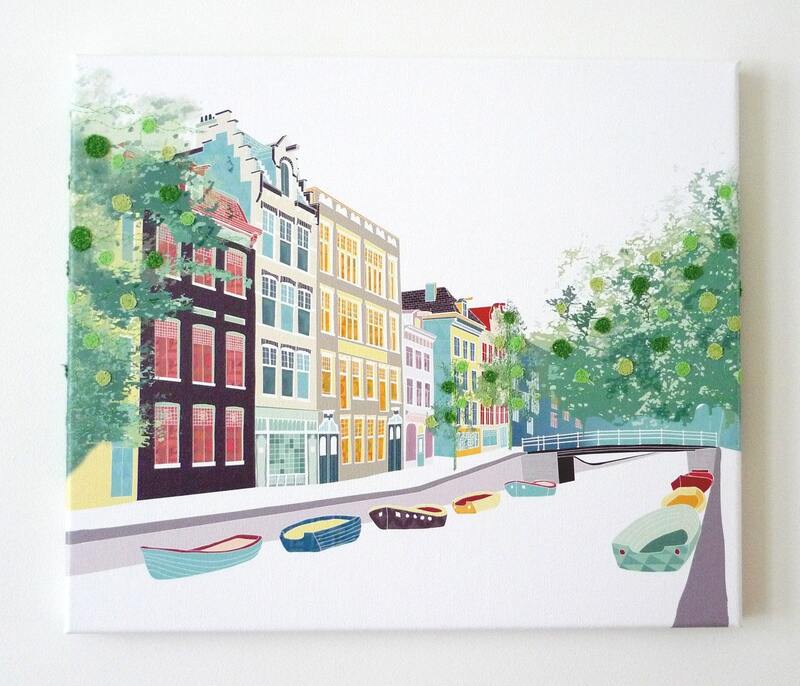 I love the Paris, Latin Quarter print, but the Bloemgracht is equally charming. I've never been to Europe, and these pieces make me want to take flight today! So cute. I'm following you on Twitter, and I tweeted (http://twitter.com/neverdene/status/32939771776995328). I like Laura on Facebook (A. Mace). I follow via GFC Tazim D.
I like the "happy tears" print best! i like Kate & oli on facebook Tazim D.
i like happy tears too because there is more details and color . i like Laura Amiss on Facebook tazim d.
I follow via GFC, contact info on my blog. 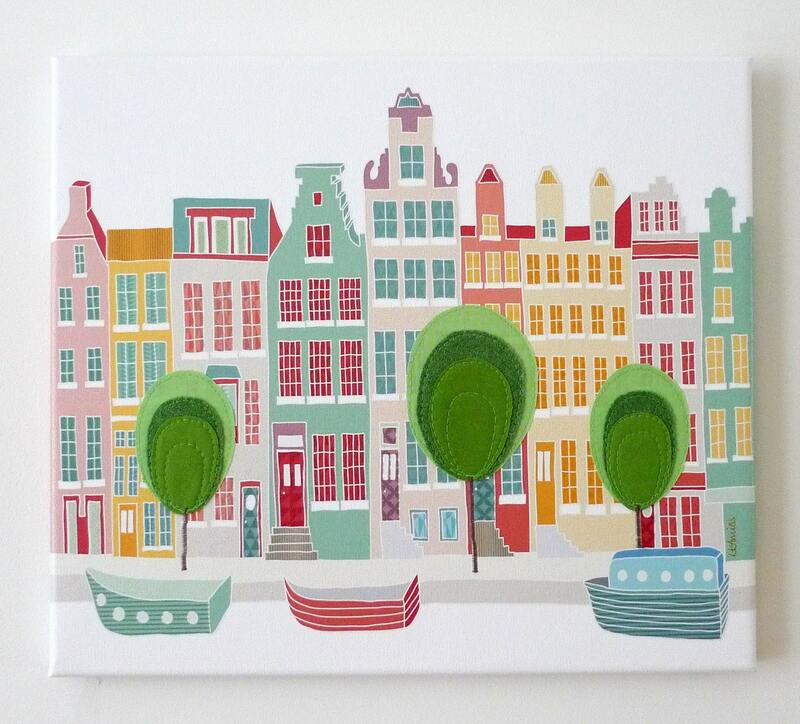 I love the Canal houses - Stitched cityscape canvas print. I've visited Holland before and loved it. This picture reminds me of my trip, thanks! I like the never enough a2 print! Simply because I ADORE shoes! I have to stay away from the shoes dept in stores otherwise I will leave with another pair, and this print has heels, my favorite and I love how colourful they are! Thanks for the chance into this giveaway, if I won I'd proudly display this outside my closet. I love the Never Enough - Extra large A2 Print! Pretty shoes, how cute and I love the color palette and patterns that she uses!! "Paris, Latin Quarter - A3 large cityscape print!" I "Like Laura Amiss on Facebook! I am an email subscriber to Kate and Olli. I "Like" Kate & Olli on Facebook! Such beautiful prints! I would love the teacups and teapots in my home, since I'm a big tea drinker. My favorite is Down my street! The leaves on those trees are perfect. I like the Canal houses and boats just as much. Thanks for the giveaway! Would love to hang one of these prints in my tiny house. Christina - xristya@rock.com - I love I Was Different, with the girl in the red dress sounding out from all the girls in the colorless dresses. I actually love the color red and I was different, too, as my parents had come to America from Ukraine and I spoke another language and did Ukrainian dancing and embroidery and cuisine and went to Ukrainian school on Saturdays! But I still got to become a poet, writer, journalist and artist as I wanted to do! My fave is the teapots!! I'm a huge tea drinker and I think this would just look gorgeous in my kitchen!! I like the Happy Tears print. I subscribed to the Kate & Oli mailing list. I'm a fan of Kate & Oli on Facebook! I'm a fan of Laura Amiss on Facebook. entry 2: liked Laura Amiss on FB. down my street stiched print is pretty great! "Liked" her on Facebook, too! I really like "Little House On The Hill" So charming! Happy tears is my favourite. It's so simple but so beautiful! I love the across the canal stitched cityscape. Beautiful! And so detailed! I love the Never Enough shoe print. It would be great for my daughter's room. I love Tea Pots and Paris Latin Quarter. Like Laura Amiss on Facebook as Monika Lintang Retnani. Follow you on Twitter as @monikaretnani, tweet about this giveaway here. Add your button to my blog here. Like Kate and Oli on Facebook as Monika Lintang Retnani. 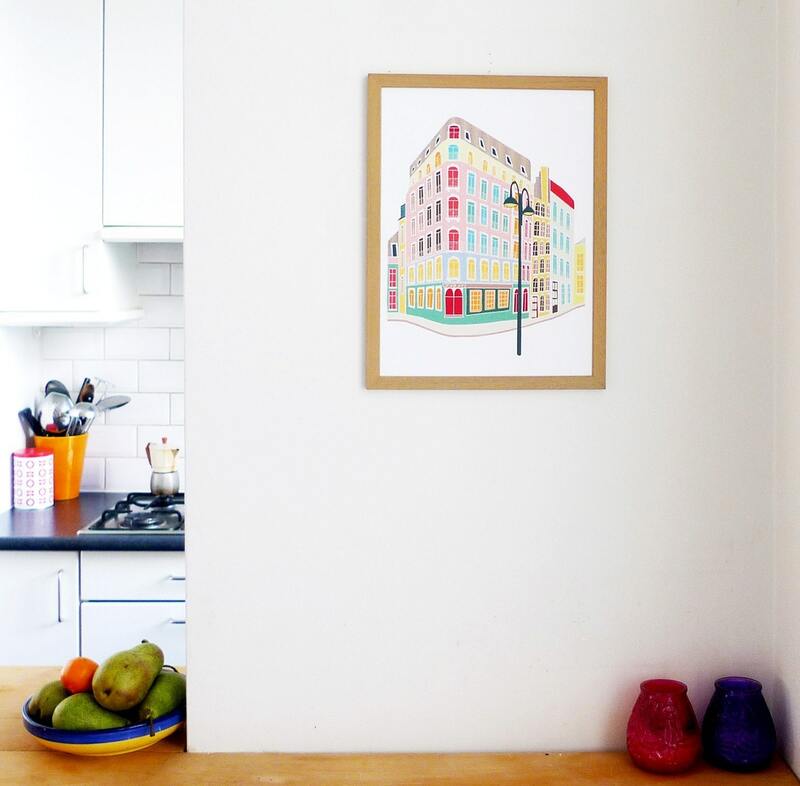 One of my favorites is the Down My Street Print, because the colors are so bright and cheerful! Thanks for the chance to enter the giveaway! GFC follower. I love the "Never enough" print. It's so cute. Amazing art. I like Laura Amiss on FB. 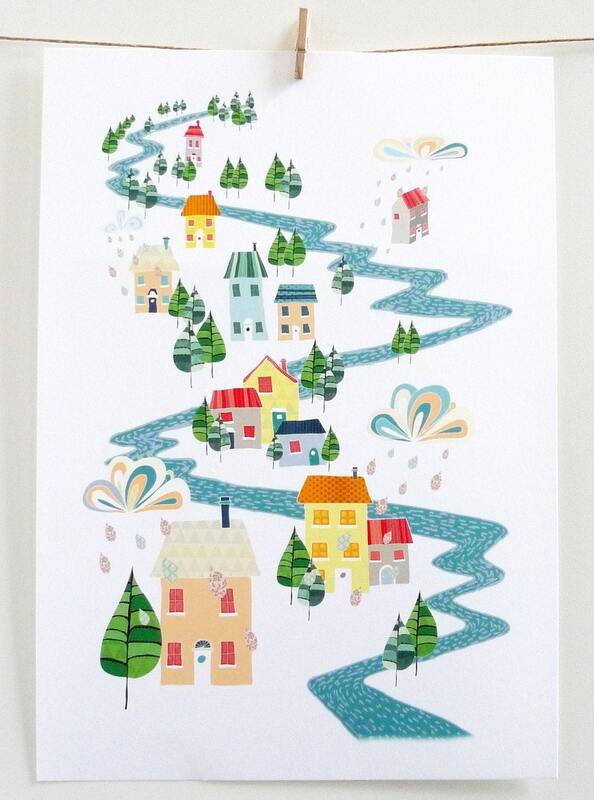 I like the canal houses print because it reminds me of somewhere I went when I was little. Love the teapots and teacups prints. The teapots!! But I also love the shoes. And for both I'd have just the right spot in our house we just redid the walls of. I therefore take a shot at winning...just like the 157 contestants above me. 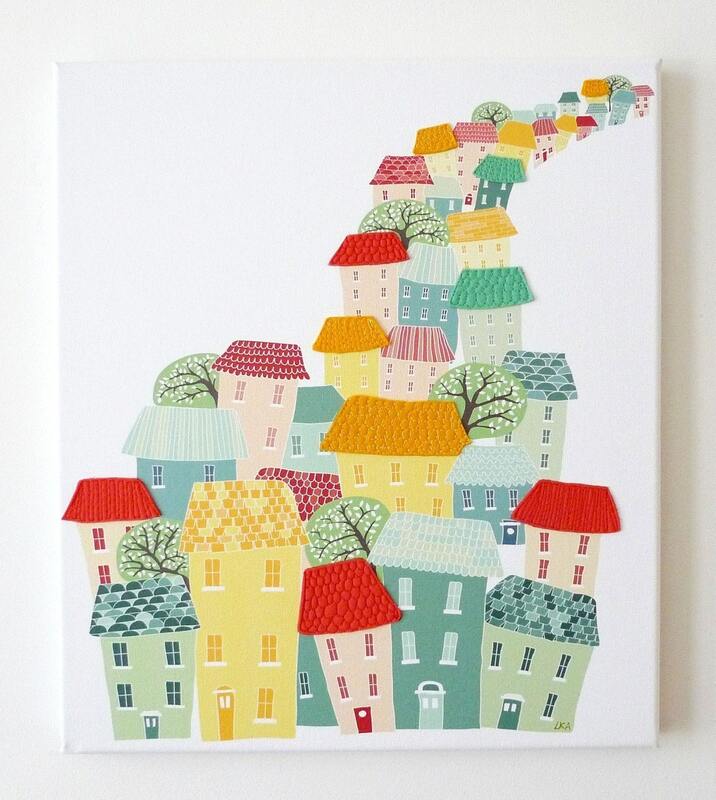 I like the Down my street - stitched cityscape canvas print. I love your work! It would be hard to pick one, but my favorite is probably the city living print. We are getting ready to build a home and I would love to have this hanging in a place of honor once it is done. Beautiful and cheerful! "Like" you... but I really LOVE the art! "Like" Kate and Oli too! 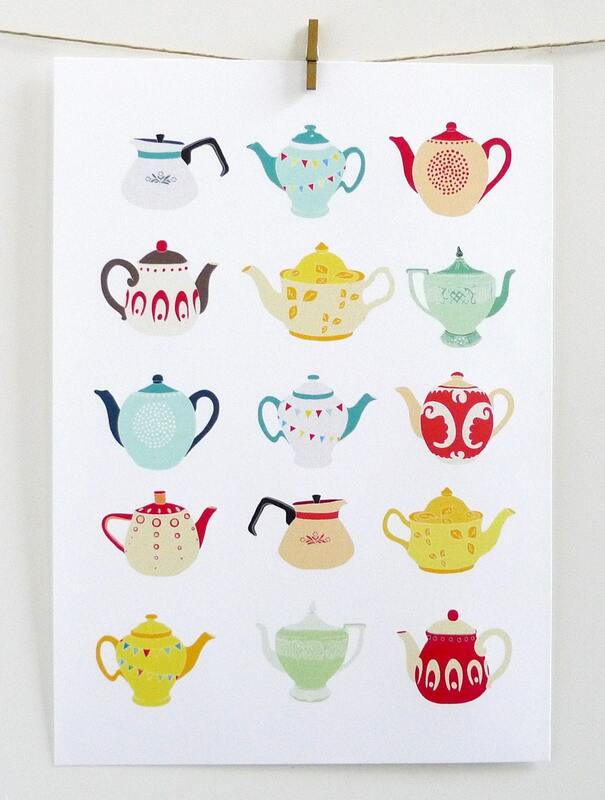 I just love the teapot print! I love the print windy day and teapots! "Home Is Where You Take It" stitched canvas print is my favorite because the little house reminds me of the first tiny home we used to live in. Do I have to pick a favorite? Oh my gosh--I love them all! Seriously great. "I was different" is a print I am especially drawn to. Also, I'm hosting a $50 fabric giveaway at www.lindsaysews.com through Monday -- would love for you to enter! Gorgeous, I love the canal houses print. It reminds me of my childhood when I lived by a man made lake and everyone had their boats docked outside their houses on the lake, bobbing along gently. i'm your follower via gfc :) my favorite and most loved item from laura amiss is her http://www.etsy.com/listing/61496679/paris-latin-quarter-a3-large-cityscape :) love her works! Wow, picking just one piece is difficult! Her work is amazing! My favourite would have to be Teapots in A2 format if available!! If it has to be picked from her existing stock, I'd love the Teapots in A3 format! My favorite item is the "I was different" print. I liike her FB page as Andreia Sousa. I'm signed up for the email list.